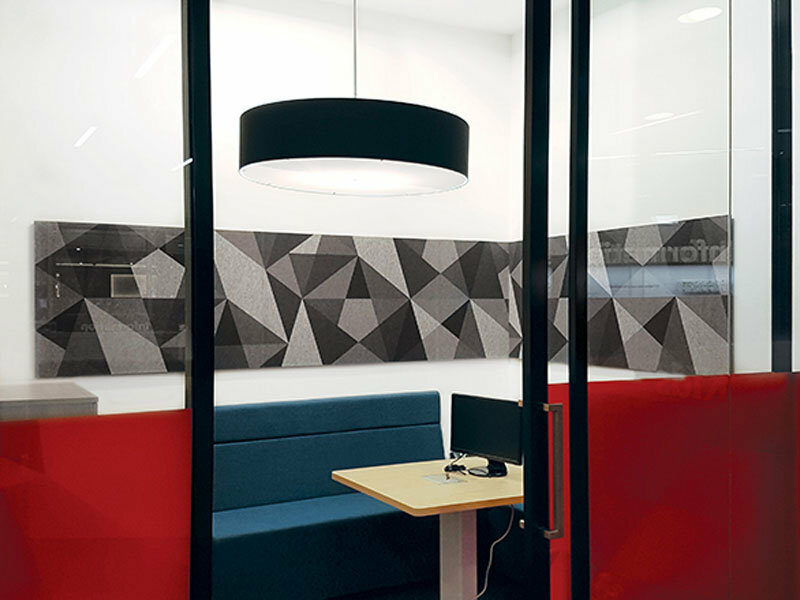 National Australia Bank’s (NAB) ‘discreet rooms’ provide a space for confidential client meetings, where the need for reducing sound and echo throughout the wider office area is essential. 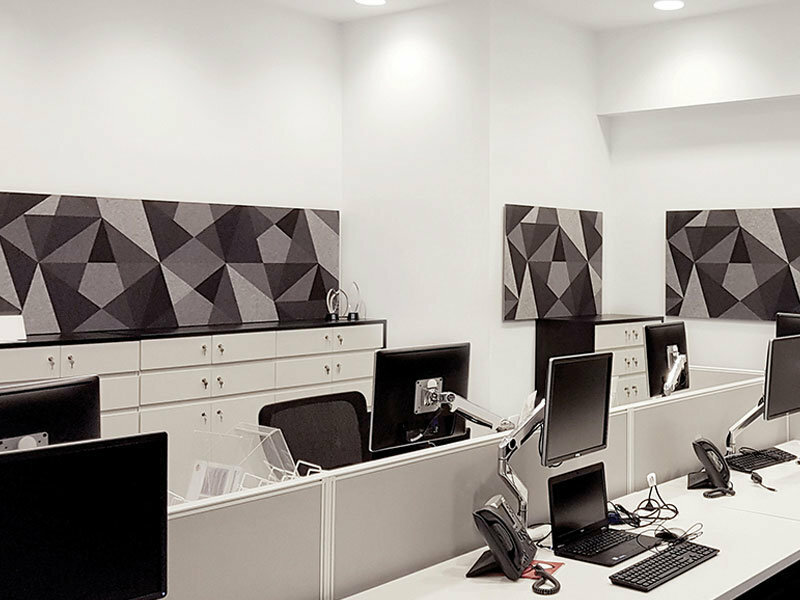 Bleux commissioned Discus to produce stylised acoustic panels for these rooms and the general workstation spaces. We printed the artwork design on 12mm echo panels, installing in NAB branches across Perth. The acoustic panels not only reduce echo by absorbing sound, they also look great as an artwork wall feature.